Users that start to use gvSIG will find a lot of small improvements respecting previous versions. Now we’re going to tell about one of them, the possibility to manage the RAM memory used by gvSIG. Until this version, the user had to do it manually, editing a text file and modifying the memory parameters. 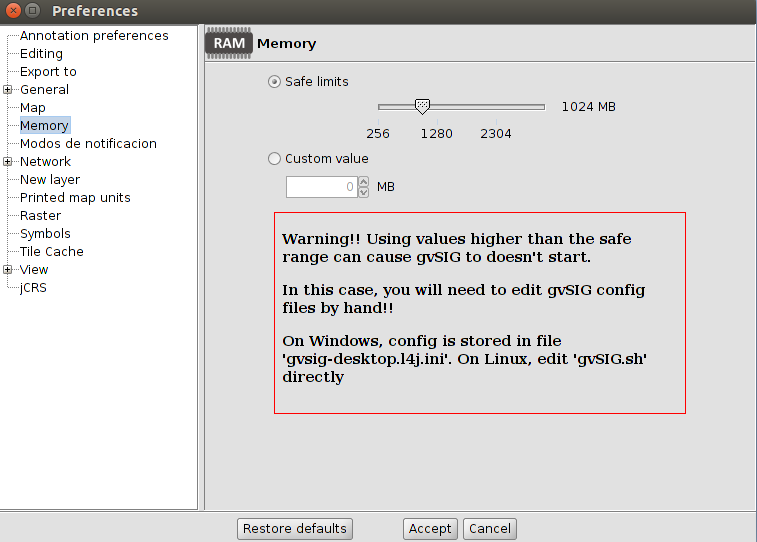 In gvSIG 2.1 an option has been included in order to manage the memory from the application preferences.